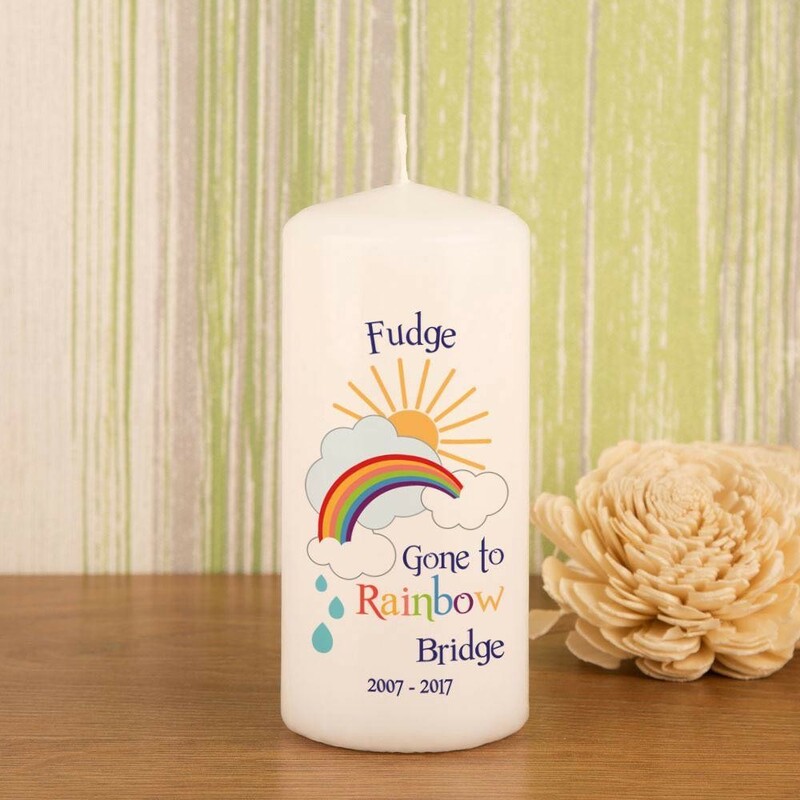 A memorial candle is a precious keepsake for any pet owner who has lost their loyal friend. 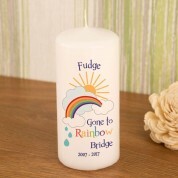 As the white pillar candle is lit it will bring a smile to the recipient's face and remind them of their beloved pet. 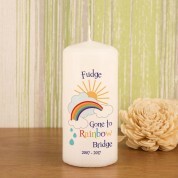 The heart warming flame may be a comfort to them as the decorative candle sits in pride of place in the home. The pets name is featured, along with memorable date/s. 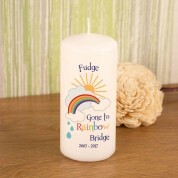 The heart warming design reads “Gone to Rainbow Bridge”. A colourful rainbow is featured, along with big raindrops and shining sun.